Self-driving Cars? It’s All About the Penguins! Home > Auto & Transportation > Self-driving Cars? It’s All About the Penguins! Last week, I was in Palm Springs, California, with a session for a board of directors on what’s really going on with the acceleration towards self-driving cars and trucks. One article in the bunch, though, really captured my attention: “Penguins could keep your self driving car safe“. The article was published in January over at the Daily Mail. 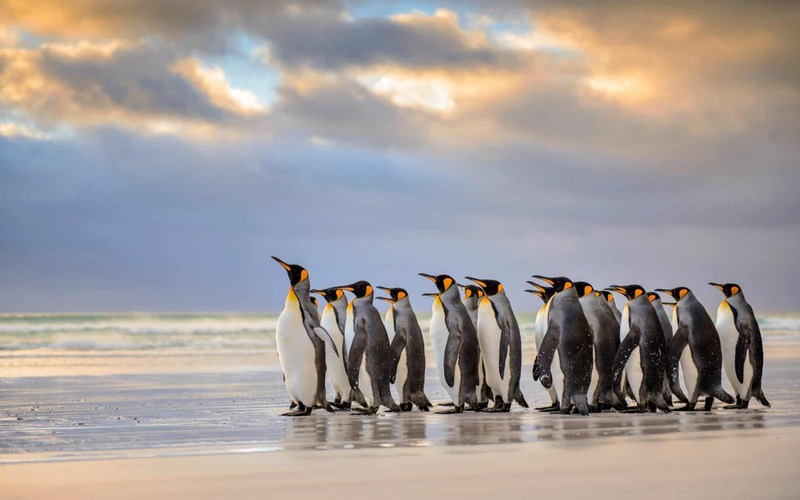 The essence of the research reported upon in the article is this: “penguins hunt in groups and synchronize their dives to catch fish.” Studying how they do so could provide invaluable insight into the evolution of self-driving cars. Much of the article focused on how that type of behaviour could help to avoid the future hacking of cars, but I think that there is much more going on than that…..
Self-driving cars will be connected by telemetry, LIDAR and other technologies, and will operate in a pack mentality to coordinate their efforts. This permits the emergence of ‘pelotons’ — connected ‘trains’ of vehicles in communication with each other, and in communication with intelligent, connnected smart highway technology. (Did you know that Amazon has some patents with respect to the latter?) We are already seeing trials in which groups of 6, 8 or 10 trucks travel together, separated by just a few feet, travelling in a coordinated group at 60mph. Pack-activity. If you think this through, the result? The Intel-Mobileye $15 billion deal is just the tip of the iceberg, so to speak, for what is to come in terms of access to skills and R&D in automotive. You can expect Silicon Valley and car companies to be seeking out and hiring a lot of penguin-researchers, and other specialists in the study of animal behaviour. It’s called biomimicry, and its an approach that has been used for quite some time to engineer unique solutions to complex problems. It goes beyond animals : I’ve been keynoting quite a few manufacturing conferences, and have spoken about the acceleration of 3D printing, or additive manufacturing. Here’s something cool : Airbus is evolving its approach to 3D printing by study botany, with the thinking that if it can mimic the structural strength of plants, it can print interior structures that are lighter and stronger. Important for airplanes! In other words, the future doesn’t just belong to those who are fast. It belongs to those who understand the importance of penguins!